Text editing is used to change inscriptions, declarations, page names, net names, group names, options, tool options, etc. To enter text edit mode, simply click on the text. If you have a tool in the hand, use the long click. A reddish color indicates that all text is selected. Type to replace the selected text. After clicking on an empty text, e.g. on a place with no name, the cursor will change to a blinking crossbar. To leave text-edit mode, click somewhere outside the text, or press the ESC key on the keyboard. Text can be edited after entering text-edit mode. To insert new text within existing text, click on the text to position the cursor in a specific part of the text. A subtext can be selected by pressing the left mouse button at one end of the subtext, dragging the cursor to the other end of the subtext, and then releasing the mouse button. Type to replace the selected text. Ctrl-c will copy the selected text. Ctrl-x will cut the selected text. Ctrl-v will paste the text that was most recently copied or cut. 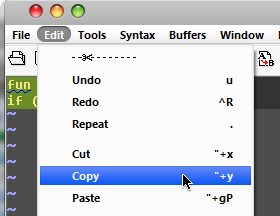 and paste the copied text using Ctrl-v.